Edo-kiriko is a type of traditional cut glass originating in Edo (the former name of Tokyo) toward the end of the Edo Period (1603-1868). “Kiriko” means “faceted” in Japanese, and refers to the multitude of decorative patterns that are engraved on the surface of the glass using grindstones and other tools. 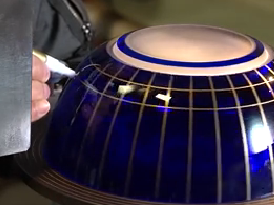 Using only rough outlines as guides, artisans carve the detailed but accurate lines freehand. 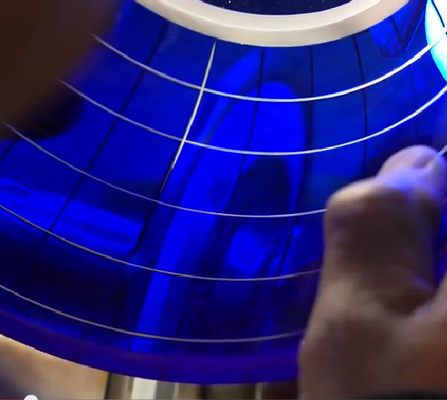 A glassblower blows clear glass into a paper-thin shape of colored glass and then rotates it to make the overall form. The result is a two-layer structure with colored glass on the outside and clear glass on the inside. 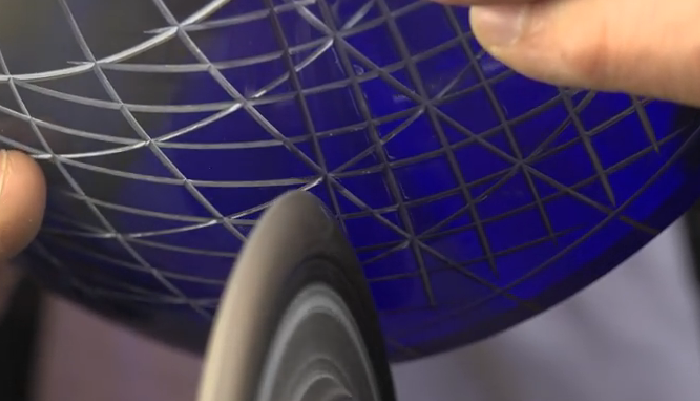 By cutting patterns into the outside surface with different type of grinding wheels, a vivid contrast is created between the colored glass and the transparent glass. Only simple grid lines are marked out to provide a framework that the artisan uses to sketch the design. 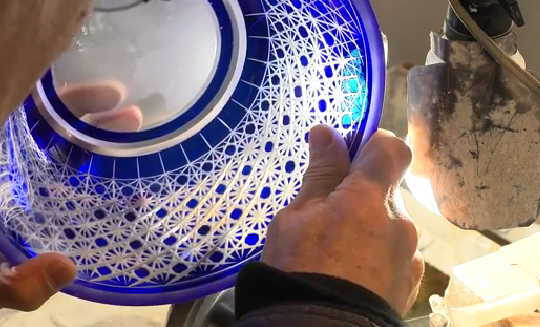 Relying on these fine marks and lines, the delicate patterns of Edo kiriko are created with the artisan’s expertise and skills. of experience as there are no detailed sketches. complete the patterns so it requires careful work so as not to leave any powder residue and to ensure a brilliant finish. 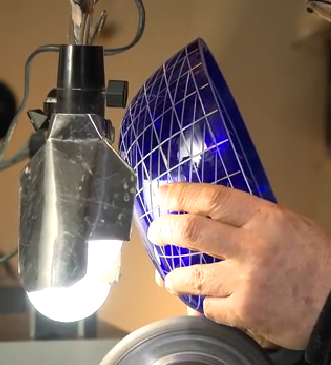 Smooth out the surface of the design using a grinding wheel. 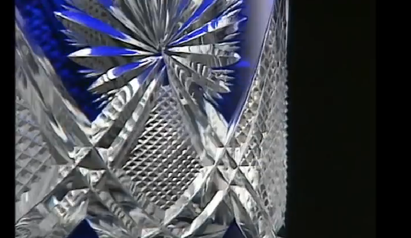 brings out the sparkle and shine of the meticulously cut glass facets and marks the end of the creation of Edo kiriko. As above, artisans carve the detailed using only rough outlines as guides and accurate lines freehand. They engrave subtly varies the size of the tiny parts of patterns. It is hard to tell the difference, but herein lies the secret of the exquisite pattern. They are absolutely in a world where 0.1 millimeter matters a lot. And such skill has been noticed that Edo-Kiriko wine glasses have being selected by the government as gifts to world leaders at the Group of Eight summit in Hokkaido in 2008 and for foreign dignitaries on other occasions. 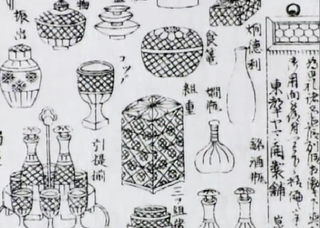 Edo kiriko is considered to have begun in 1834 in the late Edo period (1603-1868), when Kyubei KAGAYA, the owner of a glass wholesale firm in Edo, first tried to design a glass using emery powders. 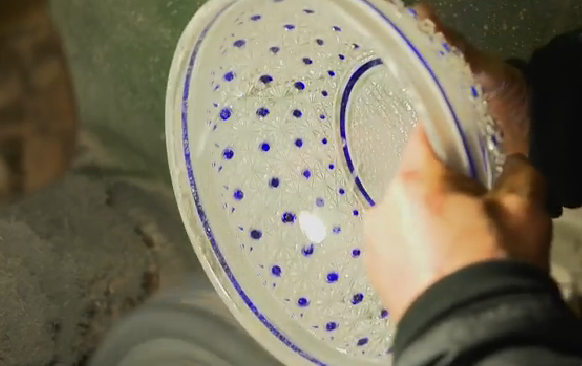 The city of Edo is the largest producer of glassware in Japan since back in the day. Because silica stones as a material of glassware were transported by boat from Tohoku region to Edo. Therefore, Kiriko glass workshops spread the area along the Arakawa river. 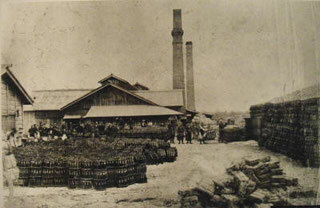 During the Meiji period (1868-1912), as part of the government's policy of promoting the Japanese industry, a modern glass factory was constructed in Shinagawa. And in 1881, the government invited Emmanuel Hauptmann, a British cut glass engineer, to Japan. He taught his knowledge and techniques to the Edo kiriko artisans, which led to British cut glass technology merging with the Edo kiriko techniques. Consequently, the unique style of Edo-kiriko was formed. 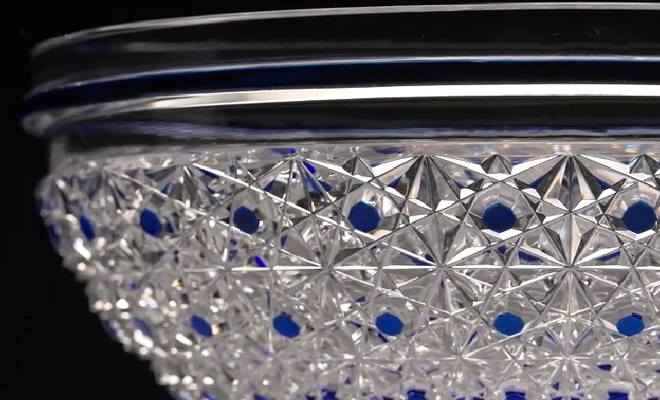 Now, this 180-year-old Edo-kiriko glass is designated by the Japanese government as the traditional craftwork. It is very popular both in Japan and abroad as a gift symbolizing Japanese culture. There are two region producing "KIiriko"
by the Japanese government in 2002. 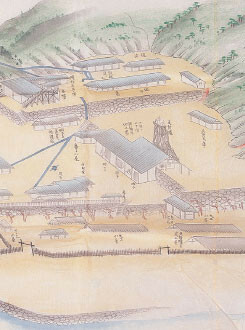 Satsuma Domain (present-day Kagoshima Prefecture). In contrast to Edo-Kiriko, which has been inherited for over 180 years, production of Satsuma-Kiriko was suspended by the death of the lord of Satsuma and the Anglo-Satsuma War in 1863. Satsuma kiliko was called "Phantom-Kiriko", however after long pause, it was restored in 1985 and make a rapidly regained popularity.